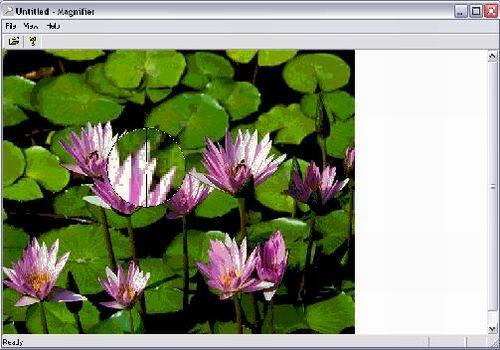 This program generates a cursor that can magnify the portion on which it hovers. I wrote this program to help myself make a small image editor. Using this code has made my program a very special one. Try it out. This program copies a part of the device context on to a bitmap. Stretches it and displays the bigger size. CDib: This class can load DIBs from file and from resource and also save DIB to disk. CBitmapDC: This class is derived from CDC. This class creates a bitmap from a given device context. CMucancode.netedBitmap: This class can draw a bitmap without displaying one specific colour. I like programming applications with very cool looks. Using this cursor, the looks of the programs have been enhanced. Even game programming can use this type of cursor with a bit of enhancement.